Brand new for 2016, Betreels Casino is a welcome addition to the online casino realm. This fun site is a haven for slot lovers all around the world and prizes itself as being one of the most exciting places to play mobile reels. Here you’ll find a huge range of new and classic mobile slots, all of which are of the highest possible calibre. Betreels is owned and operated by Gibraltar licensed Nektan Limited and is fully authorised by both The Government of Gibraltar and The UK Gambling Commission. 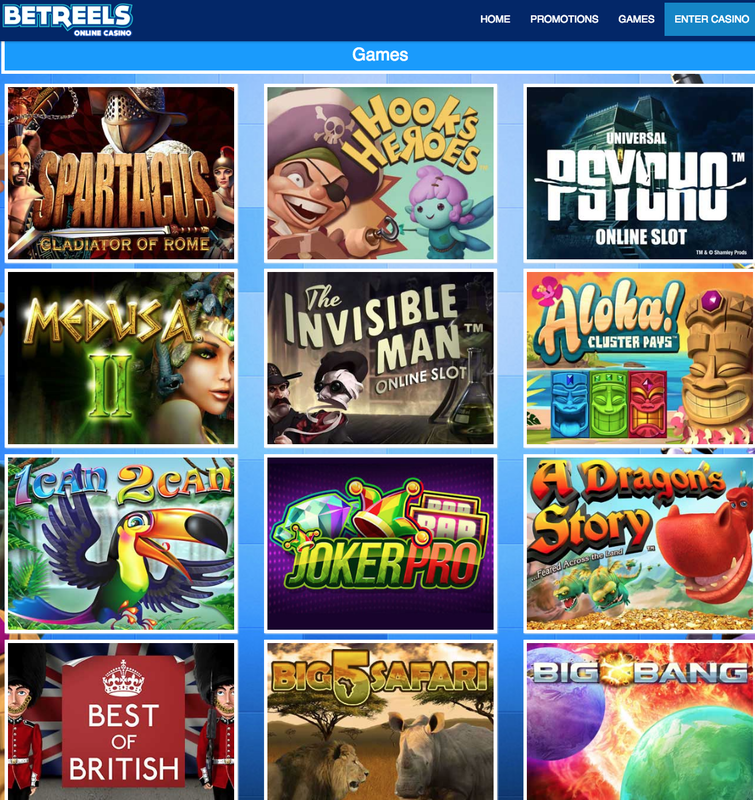 Upon entering the site, players can immediately see the team behind the casino’s dedication to providing players with the best possible slot games. The bright and colourful lobby section of the casino is filled with perfectly organised images of the games catalogue. This sleek layout is not the only thing waiting to greet players. The most exciting thing about signing up for Betreels Casino £500 welcome bonus package and Bonus spins. As this is a brand new casino, Betreels isn’t quite at a place where it can dish out a whole load of bonuses. Other than this welcome bonus there are no other promotions just yet, however, it’s not the rewards but the great games that gamblers keep coming back for. The games on offer here are all slots and are provided by big names such as Netent, Nextgen, NYX Gaming, Williams Interactive and, of course, Nektan. Betreels don’t disguise the fact that they opt for quality over quantity, which means players can rest assured that every slot on offer here is a great one. These games include Aloha Cluster Pays, Drive Multiplier Mayhem, Gonzo’s Quest, Twin Spin and the beloved classic, Rainbow Riches.